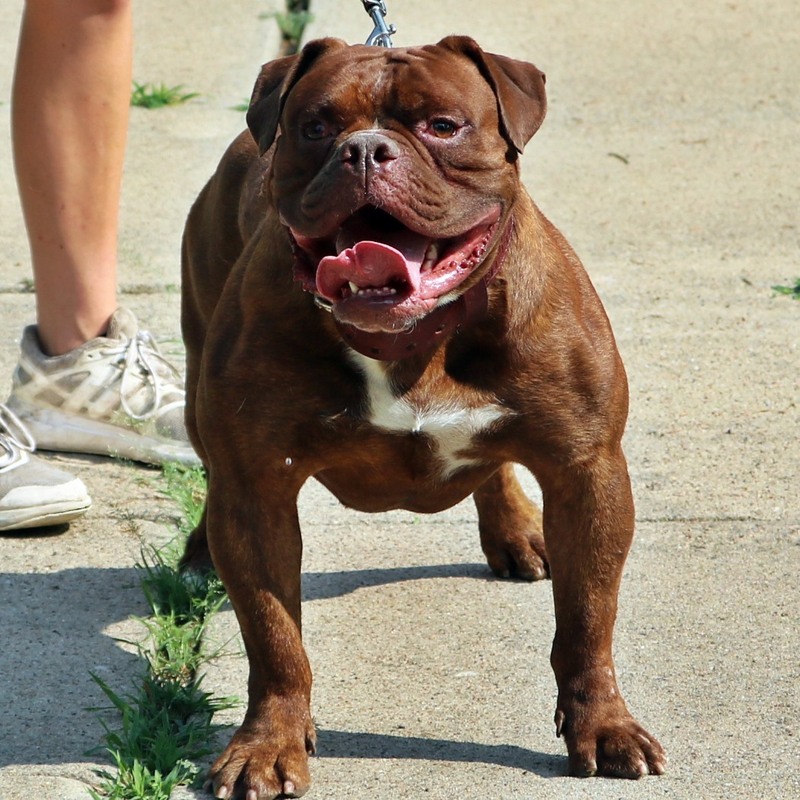 Evolution Bulldogge's Ground n Pound "Smash"
Stud service available at the Online Store. 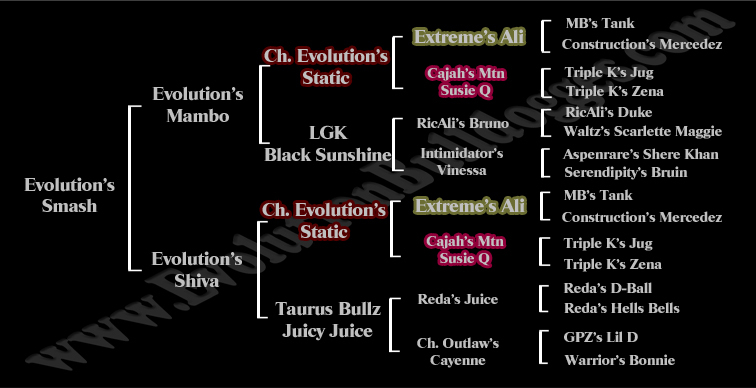 Smash is sired by Evolution’s Mambo and out of Evolution’s Shiva, which makes him double bred Evolution’s Static and 3 times Extreme’s Ali. 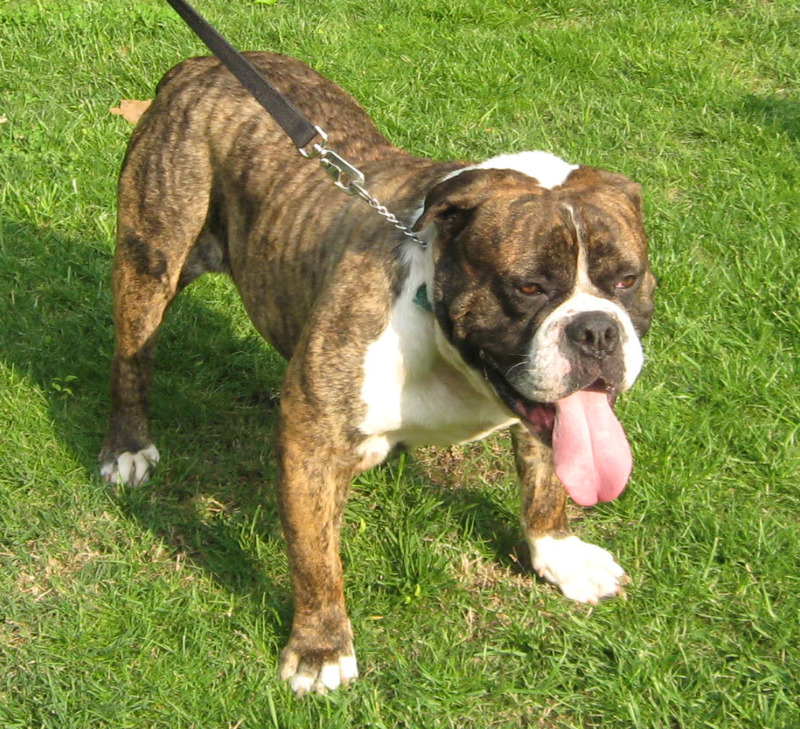 Despite the fact that his drives are intense and he loves to play hard, Smash is a super sweet bulldog who loves attention and one on one time. 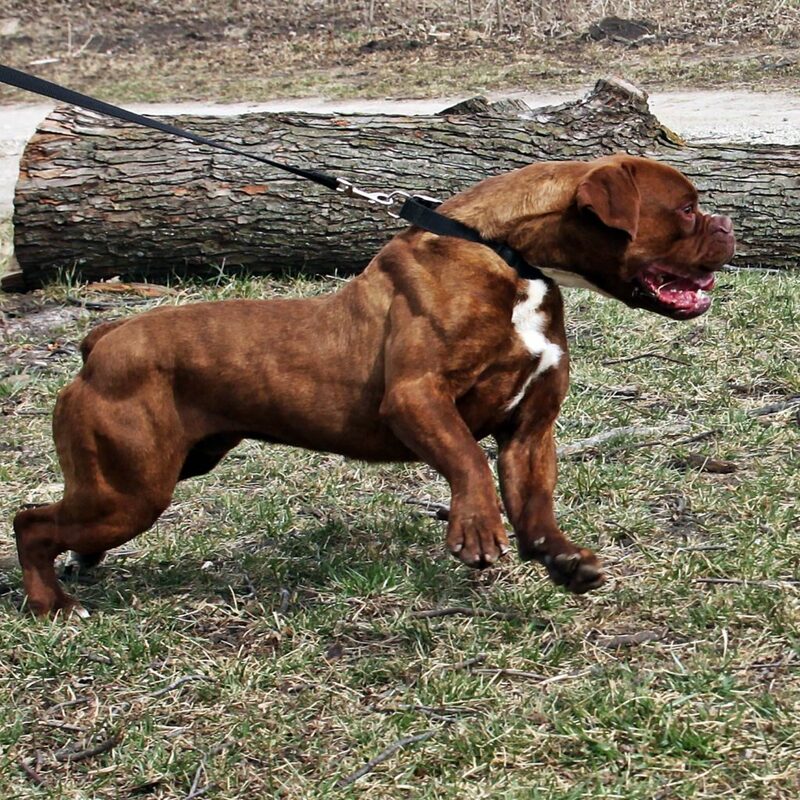 A young stud, at only 2 years, Smash is still developing out and will be fully matured in another year and a half. 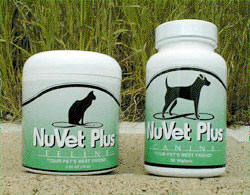 The progression of maturing will result in a larger head, and wider thicker body mass. 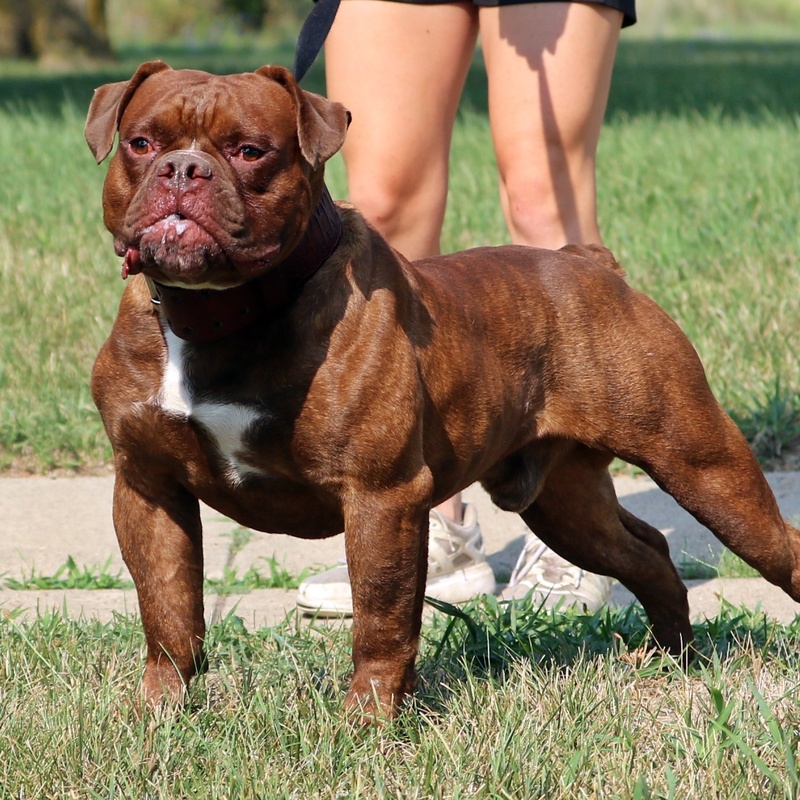 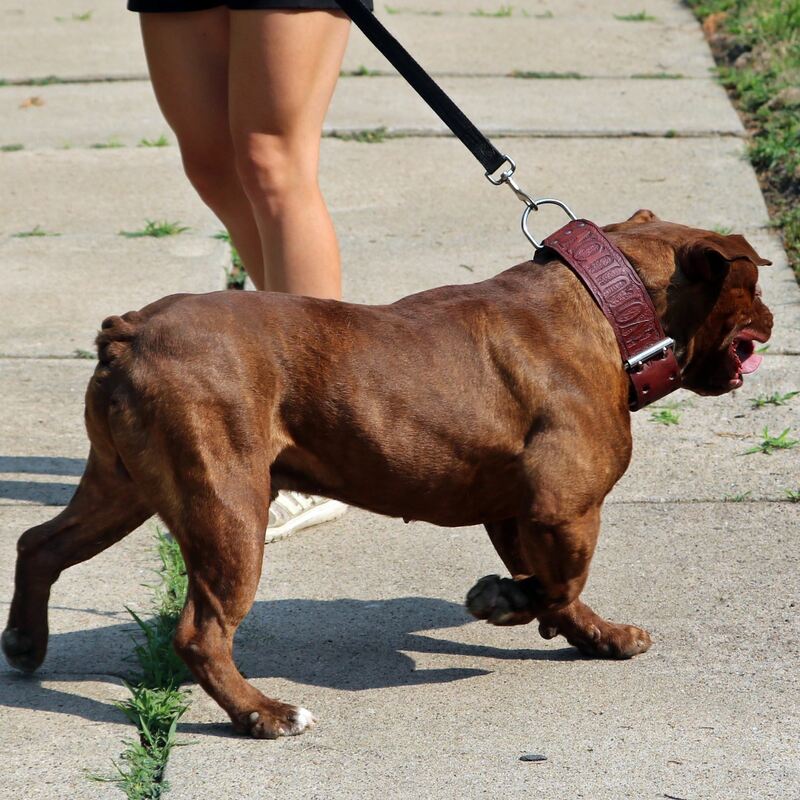 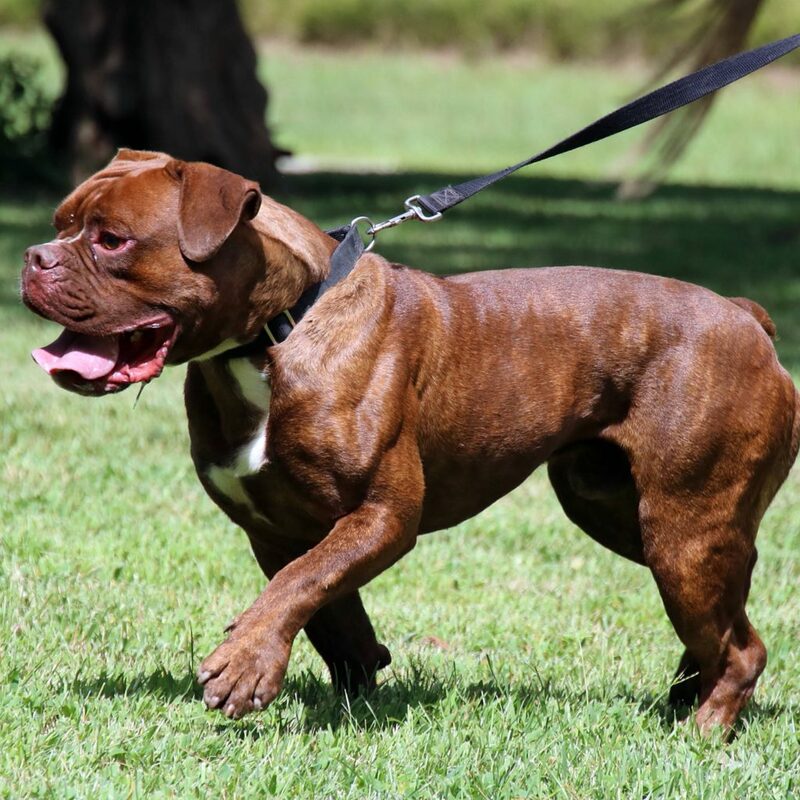 His excellent genetics have been passed on to a few litters of puppies at Evolution already, and his offspring are a direct reflection of his beautiful structure, sharp mind, and phenomenal musculature. 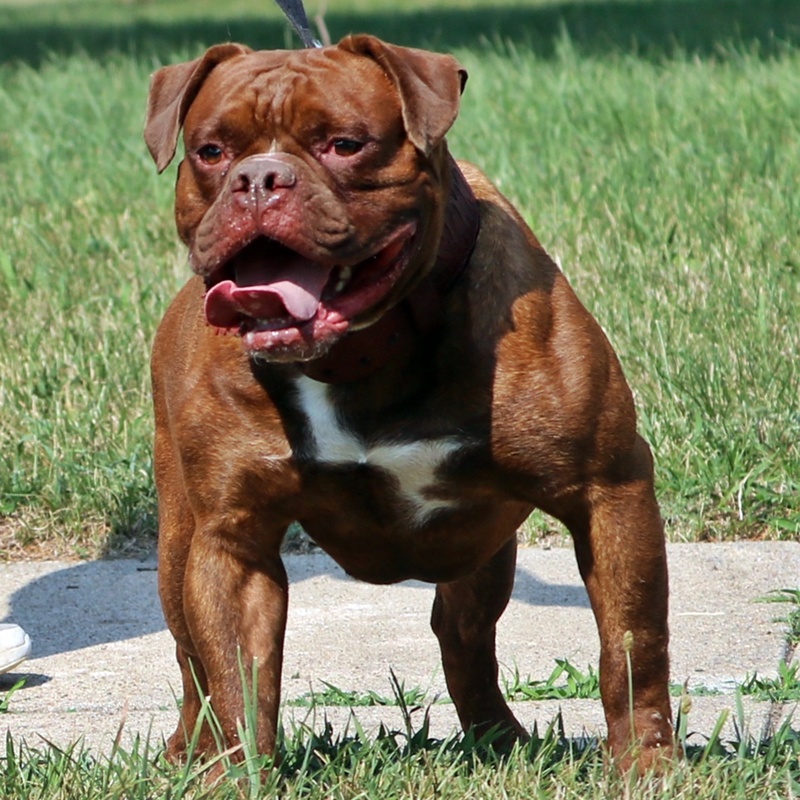 I couldn’t be more pleased with his reproduction, some of my keeper pups sired by Smash are the nicest prospects I have ever had at Evolution. 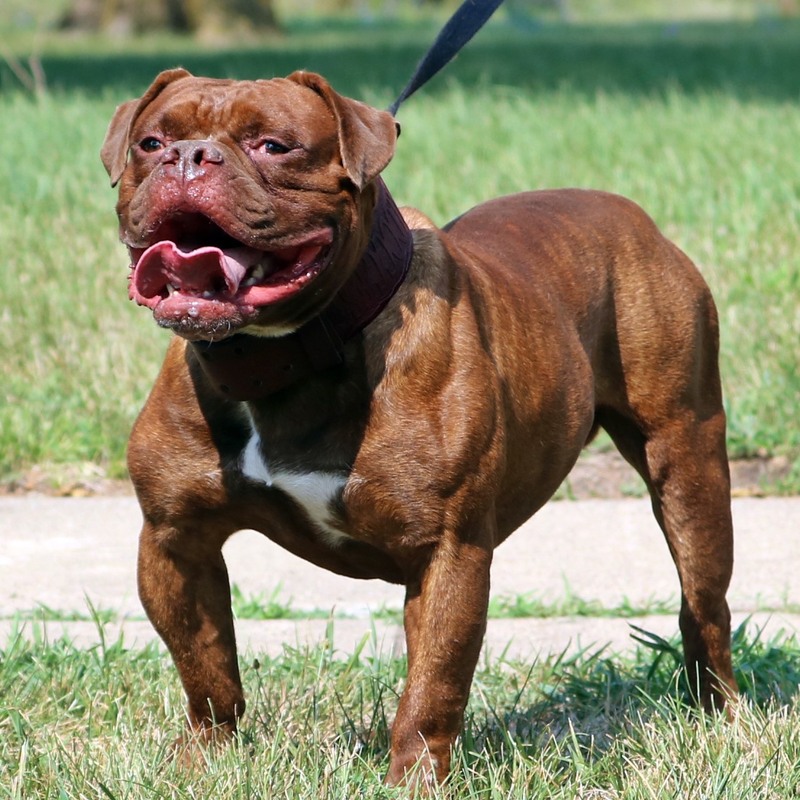 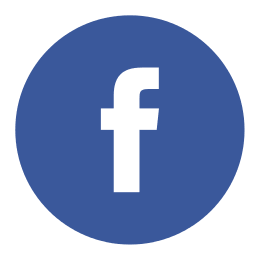 I’m very pleased to have this power house as part of my lineup of thick, hearty specimens carrying the torch of supreme genetic material into the future of Evolution Bulldogges.